Who does not want to get admitted to NUMS to become a professional army medical doctor? Everyone wants! Most of the students do not have such a strong desire for King Edward University as NUMS does. The love for army exists deeply in their hearts as compared to other private and public medical colleges. They will be wearing army uniform from the very the first day, and feeling proud of being called a NUMSIAN. In this article, you will know everything about NUMS, it will be updated with the passage of time. You might be thinking what is NUMS Pakistan? Why it was established? 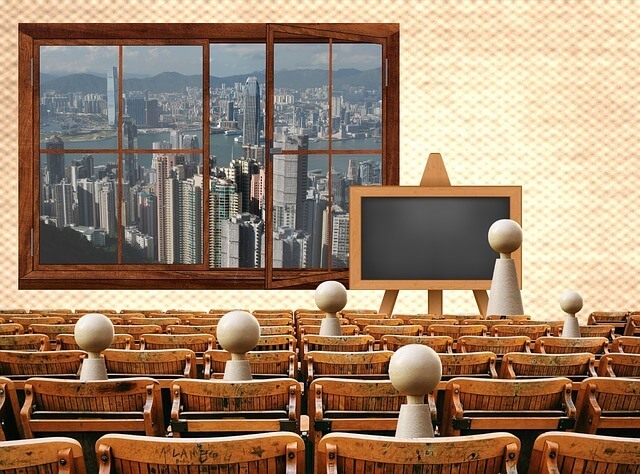 Because students will be admitted to well-known army colleges – speed up the process – and it will save a lot of time as students have to pay one time fees for all the 5 medical colleges at once. One admission form will be responsible for 5 medical colleges instead of one as it was in the past. In this way, your degree will be internationally accepted. NUMS takes 2 tests: NET 1 and NET 2. The NET 1 is the first test taken on the 7th of August, and the NET 2 is the second test taken on the 18th of September. You have to pay fees separately for the tests because both have different admission forms which are available on its official website. Keep in mind, the form for NET 1 is called FORM A, and the form for NET 2 is called FORM B. The syllabus of Entry Test 2016 is given on the official website where everything is explained like how many MCQs will be taken from each chapter. Its syllabus is somewhat same as compared to UHS – conducts MCAT Entry Test – because the vocabulary of NUMS is 100% same with UHS vocabulary. Like UHS, entry test will be taken from the four subjects: Physics, Chemistry, Biology, and English. If you want to download the NUMS Syllabus, click the below image! 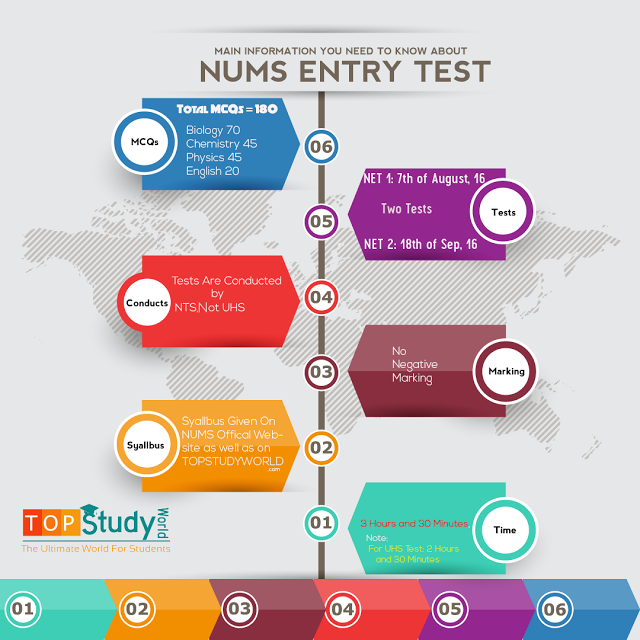 The biggest advantage for taking the NUMS Entry Test is that there is no negative marking upon circling the wrong answer as UHS does which is very useful because students sometimes know the correct answer of an MCQ, but they don’t circle the right one because they are afraid of negative marking. For NET 1 is 15 July 2016 where for NET is 26 August, 2016. The test of NUMS will be conducted by National Testing Service alias NTS. It’s the reason the announcement of result and date of submission of details will be first published on the official website of NTS. All five medical colleges offer it. Only Army Medical College, Rawalpindi and CMH Lahore Medical College, Lahore offer it. Per year Rs. 72000 will be deducted or Rs.6000 per month, but you have to pay annually along with the tuition fees. Before joining the hostel, you have to pay Rs.20,000 as a refundable hostel security fee. 2. Applications forms can also be obtained from Admission Office NUMS and affiliated colleges / institutes on any working day from 9 am to 3 pm. 3. For admission in AM College and AFPGMI apply to NUMS. Admission forms will be available on NUMS website during the given dates. 5. Entry Test Fee is nonrefundable and nontransferable. 6. Separate applications will be submitted for different categories of programs. Note:- Candidates are required to bring the printed admit cards to the test center along with original CNIC or an original document with a photograph like passport as per instructions by NTS. 7. Admissions are based on open merit from all over Pakistan, including A.IK/G8. Share the Article, Spread the Word!